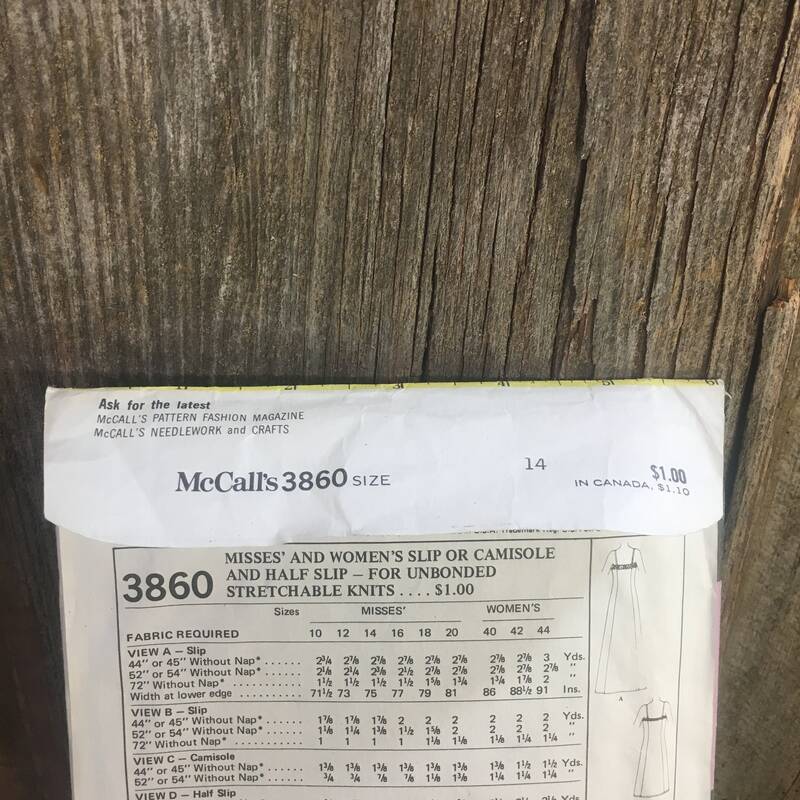 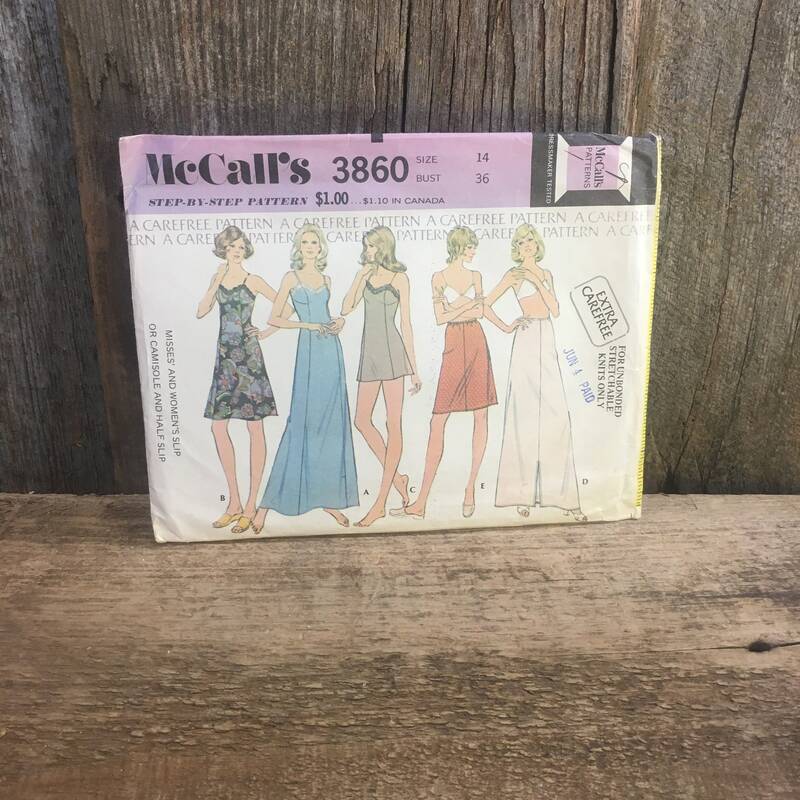 Vintage McCalls sewing pattern, McCalls 3860 from 1973. 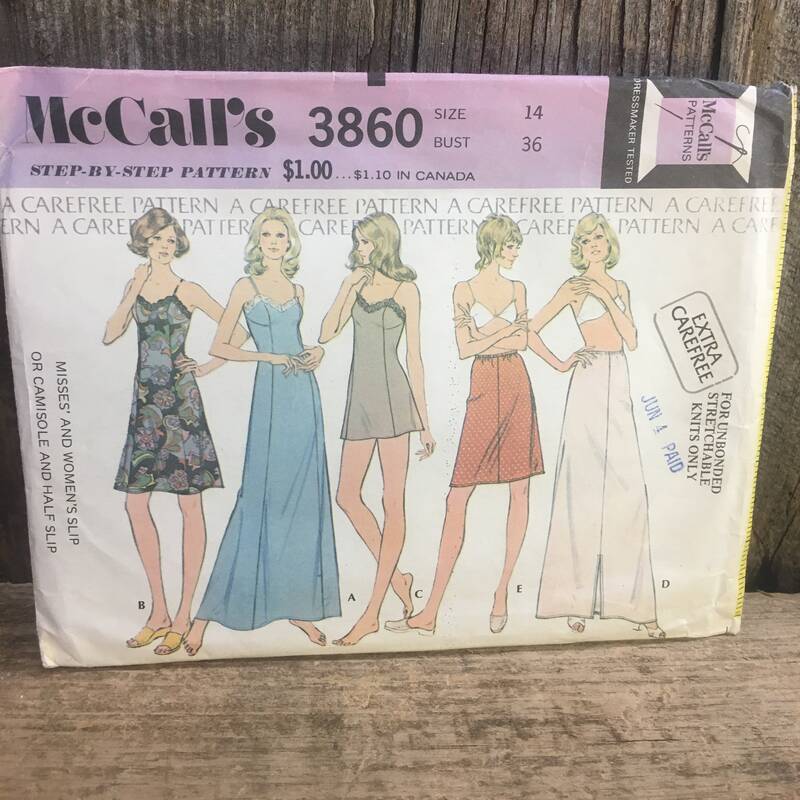 Vintage Misses and womens slip or camisole and half slip. 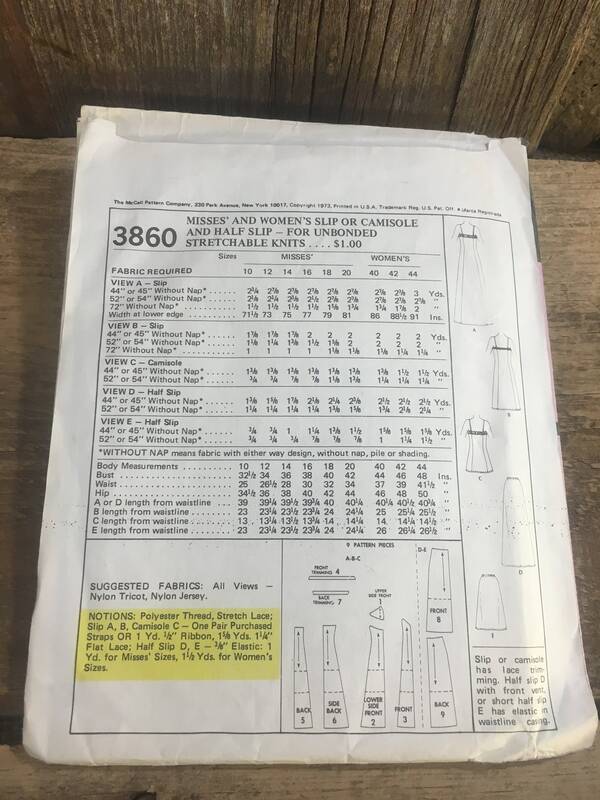 Pattern is cut and all there in an envelope that is slightly worn. 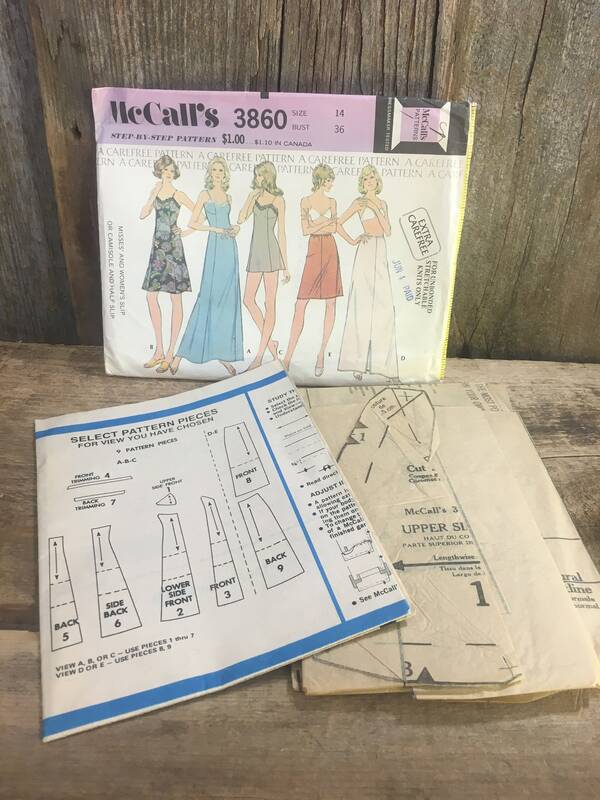 Pattern is size 14, bust size 36.